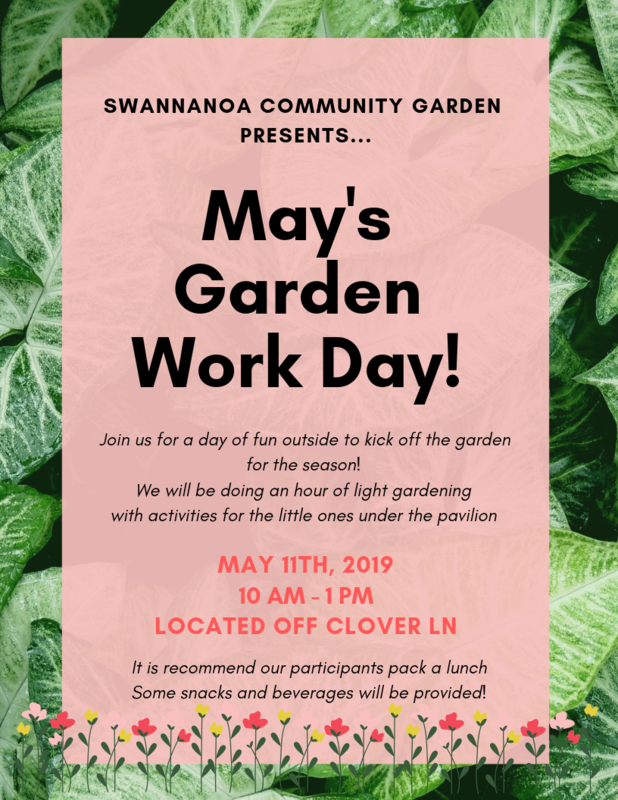 Come on out on Saturday, May 11, to help get the Swannanoa Community Garden ready for spring planting. Bring the kids, too! The garden is located on Clover Lane, off Lake Eden Road. Turn left just before the entrance to Owen High School. The Swannanoa Community Garden is a “ Garden that Gives” – produce is donated to our neighbors in need.